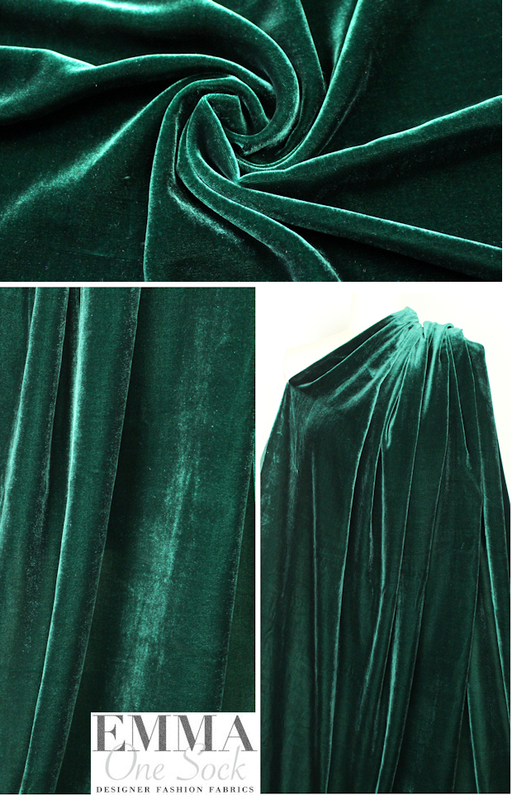 This lush classic is a rayon/silk velvet (no stretch), medium-light weight yet opaque with a luxurious and fluid drape. The color is a rich hunter green (PANTONE 19-5920). Make any number of tops or bottoms that call for a drapey velvet. Dry cleaning recommended.